Having read that some people got headaches using these glasses, I wasn't sure what to expect and, just as a precaution, I only wore mine for a couple of hours the first time. I had no problems adjusting and now I use them for several hours at a stretch but mostly in the evening, when there is artificial light in the room. 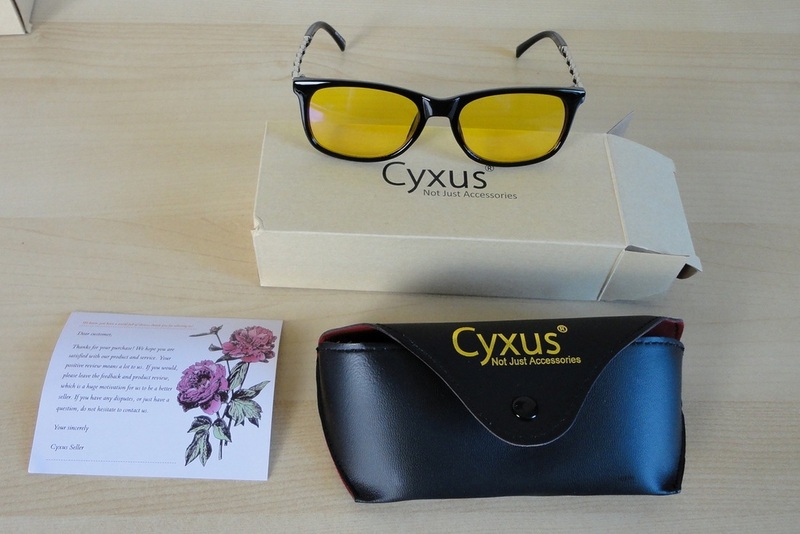 At first sight, the aggressively yellow colour of the lenses was disconcerting but my eyes adjusted to the strong tint remarkably well and I have the impression that they help me focus better. Print, especially, looks much crisper than without. Until recently I didn't know much about blue light, a fascinating and scary subject if you, like me and almost everyone I know, spend increasingly longer hours in front of a computer or tablet screen. However, I certainly knew all about eye strain and sleep disruption, so anything that helps minimize those problems is very welcome. From an aesthetic viewpoint, the frames are really attractive and surprisingly flattering. This brand offers a large selection and there is bound to be a shape that suits your face. The only aspect that I feel could be better is the storage case. 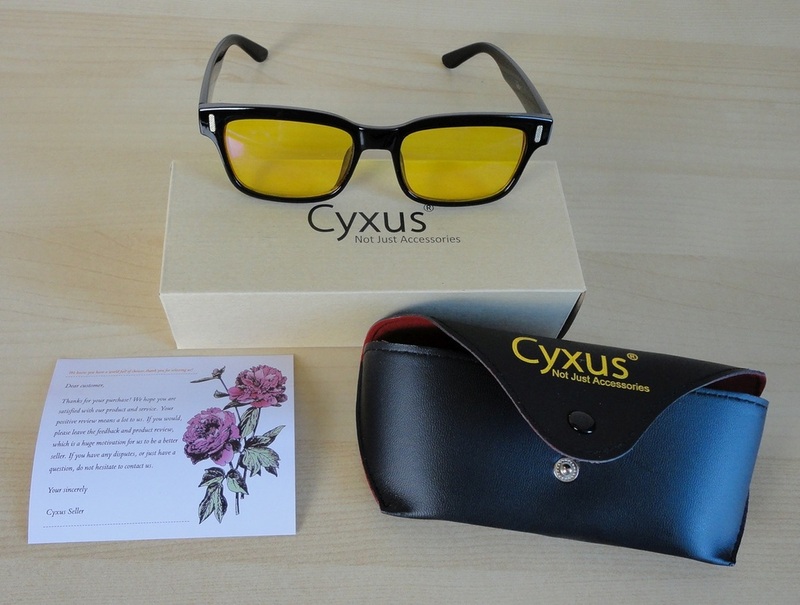 It does the job of protecting the glasses but it looks and feels quite cheap, the clip is sometimes tricky to close and a cleaning cloth should have been included to complete the package. 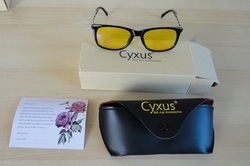 I chose this model CY-EW-001 in the Retro style. I really love the intricate loops on the temples and the detail at the hinge which reminds me of the Gucci logo. 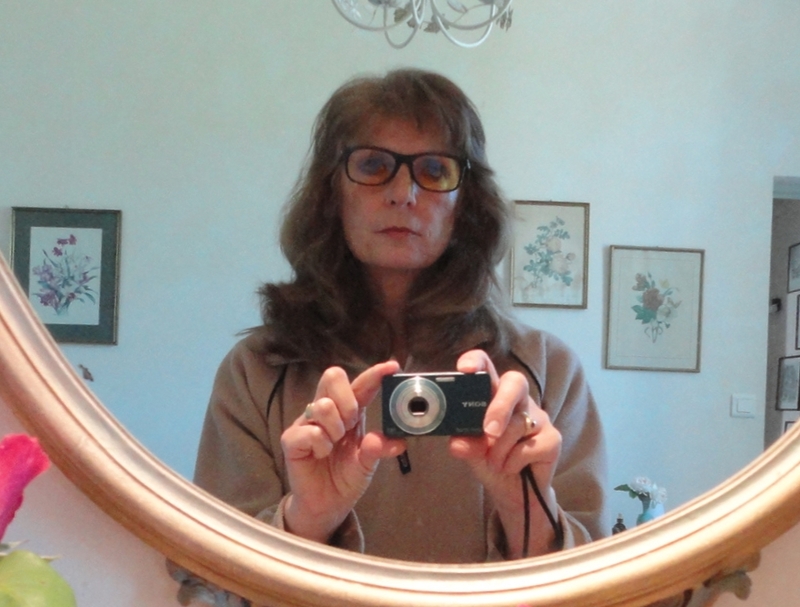 I originally fancied the frames in leopard colour because they look lighter and less severe, but they sent me a pair with the black frames instead and, according to my husband, they look fine on me. 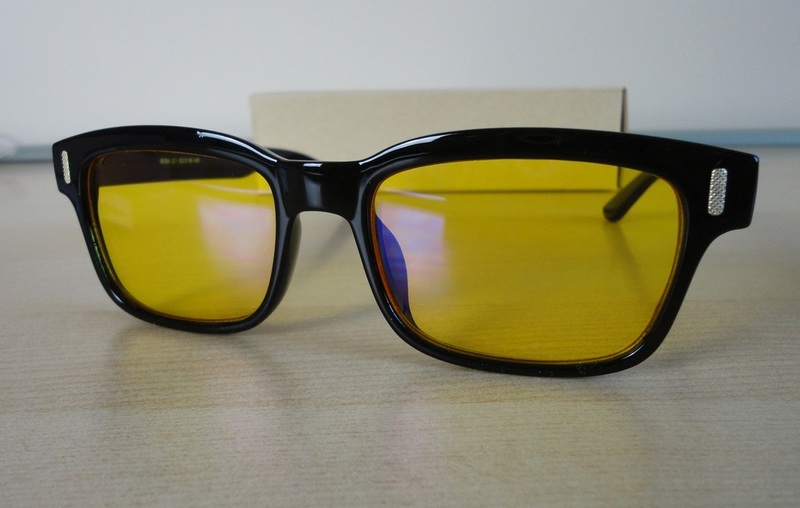 The main thing is that they are extremely light so I am not aware of having them on, they sit solidly without slipping down my nose and offer a wide enough area of coverage that my peripheral vision is also sufficiently shielded. I'm going to bed at the same time as before but don't feel nearly as tired and I'm sleeping better as well, so I think they are working for me. I received a sample product at no cost for testing and review purposes. 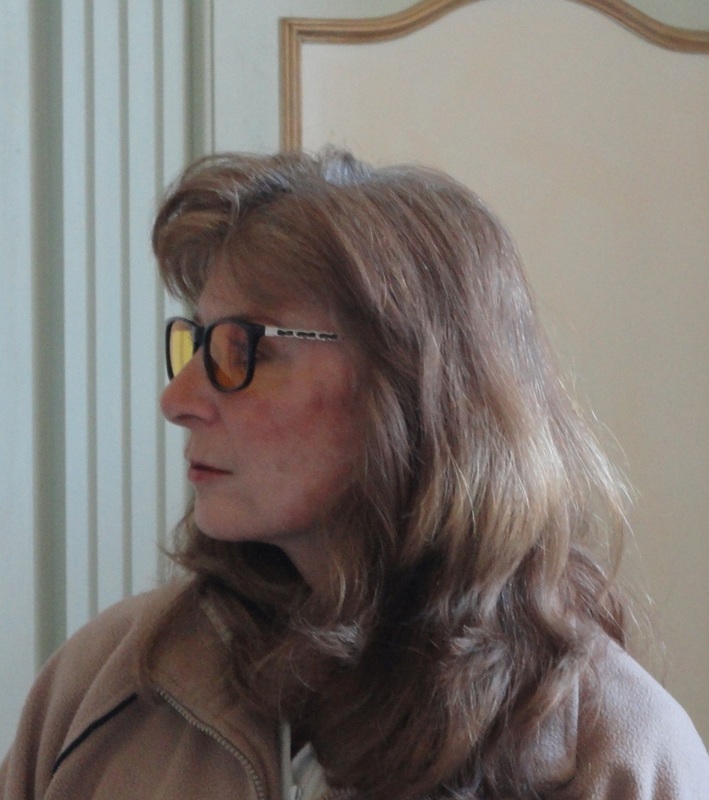 I accepted a pair of men's anti-glare glasses hoping that my husband (who hates wearing glasses other than sunglasses) would at least wear them for an adequate testing period. I was very surprised to see that he took to them immediately and has been (voluntarily!) wearing them each evening while he's in front of the laptop. 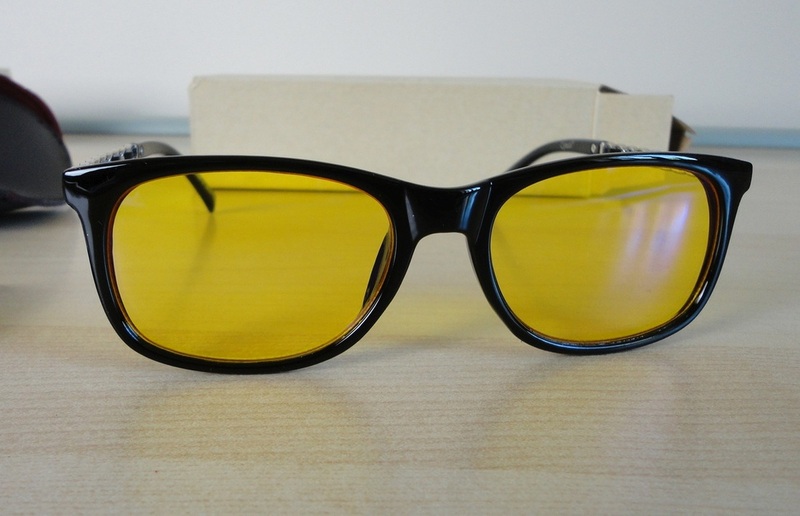 The strong yellow colour of the lenses was disconcerting at first but he tells me that his eyes adjust quickly to the tinted lenses which help him focus better on the screen. 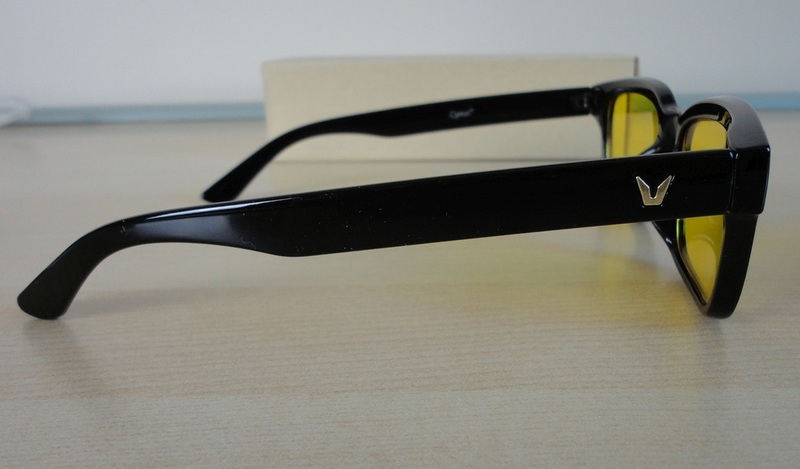 They are not corrective lenses but, by filtering out the glare, produce a crisper, clearer image. Until recently I knew very little about blue light, a fascinating and scary subject if you, like me and almost everyone I know, spend increasingly longer hours in front of a computer or tablet screen. However, I certainly knew all about eye strain and sleep disruption, so anything that helps minimize those problems is very welcome. 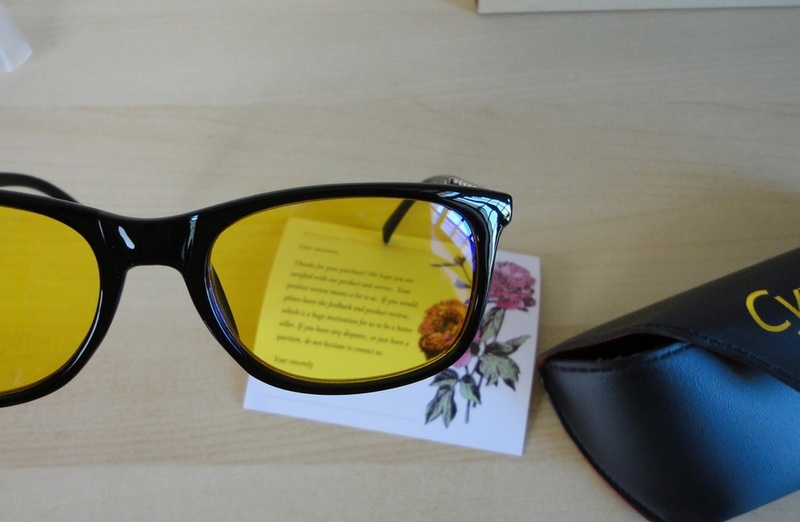 This brand offers a lot of options in terms of frame style and size, they even have a clip-on model which I briefly considered, but since my husband only wears his prescription specs for book reading, I opted for regular frames instead . I do feel that the storage case, while it protects the glasses adequately, is a bit basic and the lack of a cleaning cloth also hurts the presentation. 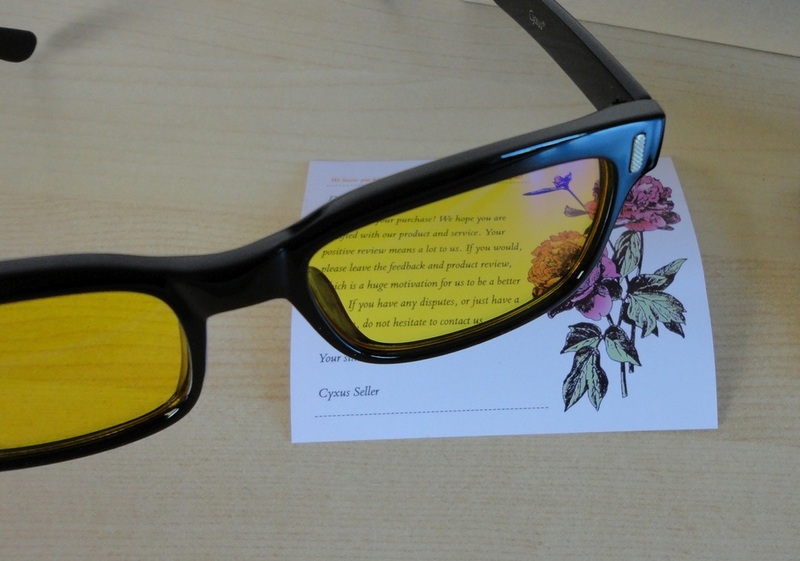 We selected this model CY-GL-0005 which, although described as unisex, to me has a more masculine vibe. Although I asked for the tortoiseshell frames, I was sent the black, and now that they are here, the black frames don't look nearly as severe as I imagined. 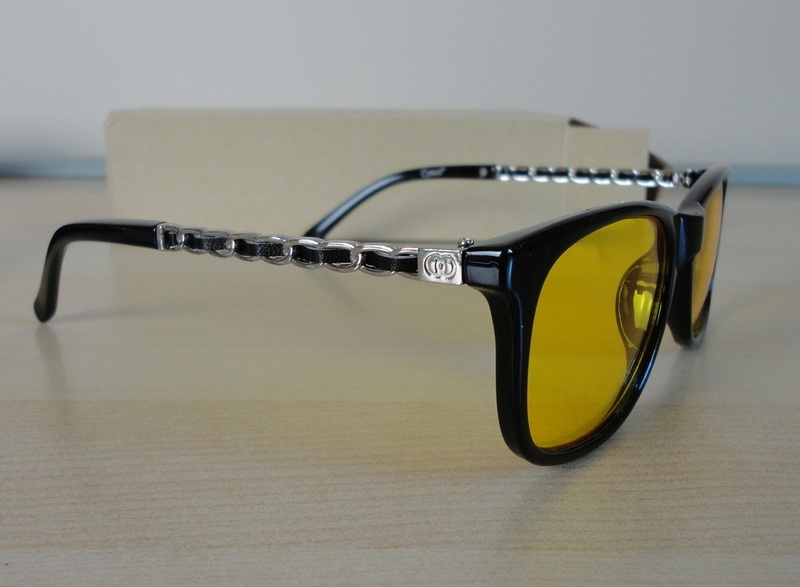 They are smaller and much lighter than expected and the two discreet metal details lighten the look. 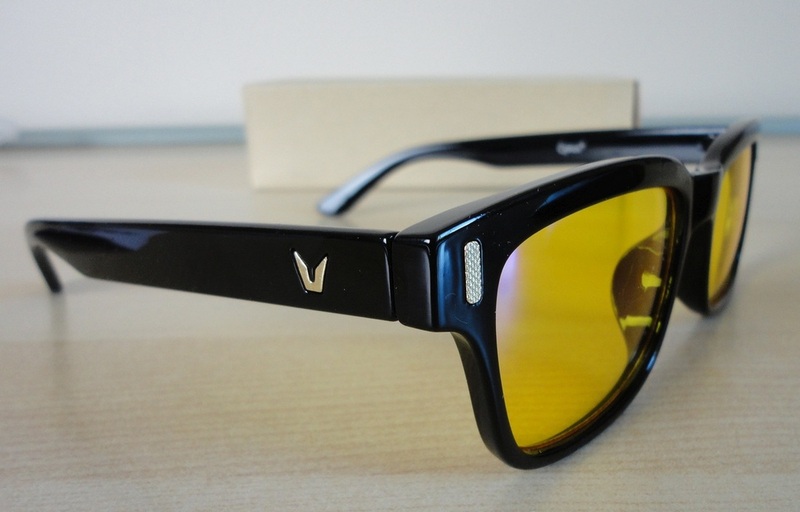 The main thing is that they are comfortable and restful to wear and give enough coverage to shield most peripheral vision as well. If my husband likes them, they have already passed the most difficult test.